The Laurel- An expansive 1.5 story w/soaring ceilings & fantastic finishes! boasting 4 bedrooms, 3.1 baths, & 3 car garage on a great lot backing to green space. The spacious daylight basement is laid out perfectly for finishing w/multiple stubs for bathroom & wet bar, walk-up to walk-out for easy access to the back yard & green space. Main floor master suite is a private oasis tucked away from the 3 large bedrooms upstairs, all w/bathroom access. Grand kitchen perfect for entertaining. You will love this space!!! 19712 Norton Street (MLS #2129138) is a traditional single family home located in Spring Hill, KS. 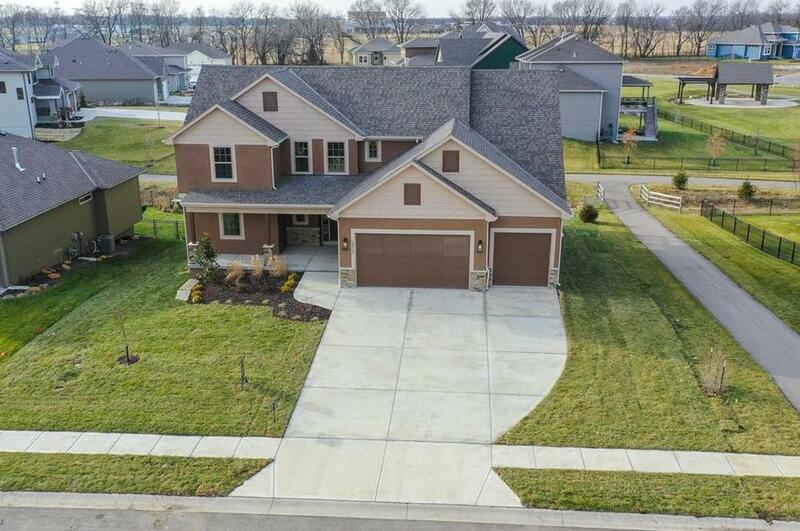 This single family home is 2,717 sqft with 4 bedrooms and 3.5 baths. This property was listed on 09/09/2018 and has been priced for sale at $457,800. Nearby zip codes are 66013, 66061, 66062, 66085 and 66220. This property neighbors other cities such as Bucyrus, Lenexa, Olathe, Overland Park and Stilwell.